The agenda for NamesCon Global 2018 in Las Vegas was announced today. Speakers will be added as they are confirmed. Keynotes will be announced weekly beginning December 2, 2017. The NamesCon mobile app will be released on January 12, 2018. The app will allow attendees to manage their schedule, access speaker, moderator and sponsor profiles, and connect with other attendees. App download information will be emailed to all registered attendees. Conference takes place from January 27th to January 31st in Las Vegas at the Tropicana hotel. Take advantage of early name badge pick up so you can skip the line on Sunday and head straight into the Tool Talks, workshops, and networking! Collect your name badge for entry to NamesCon – no paper confirmations are required, just your name and/or the e-mail address you used to register. This session kicks off a day of content tailored for those attendees who are new to the NamesCon experience. We’ll talk about what to expect from the week ahead, jump-start your networking with a few icebreakers, explain how to use the conference app, and more. Today only! Join us at the breakout stage for an afternoon of fast-paced tool demos, taking place in 20-minute increments. Come and learn which products, services and techniques can improve your business. For impromptu round table meetings or a quiet place to set up and work, the Business Hub is open to all attendees. A domain’s value can grow exponentially once it’s developed, ranking on Google, getting traffic, and creating revenue. Learn how to develop and market your domains effectively and efficiently – from choosing the right CMS, to SEO tricks, and winning with paid advertising. The Tropicana offers a variety of casual dining options within an easy 5-minute walk of the convention centre. Don’t go too far afield! We’ll be back with more in one hour. For NamesCon VIP pass holders: Enjoy a complimentary lunch buffet while taking part in an intimate Q&A with NamesCon’s founder, Richard Lau. How to use social media and a simple personal blog to ignite your personal brand and network. 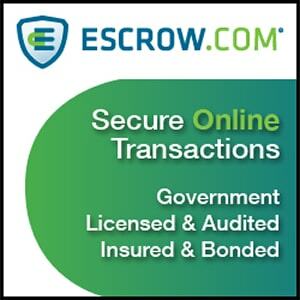 The perfect primer to the live NamesCon Domain Auction on Tuesday afternoon! Join our auction partners to learn the ins and outs of how to select your best names for submission, how to appraise names, and insider tips on how to take part during the live auction event. 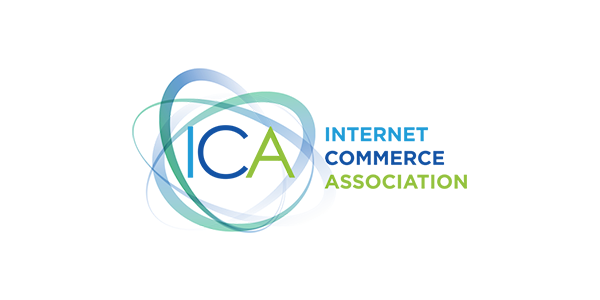 Learn all about The Domain Name Association, including the benefits of membership and participation in this dynamic organization. This session brought to you by The DNA. Join us at the new Robert Irvine Public House off the Tropicana casino for great conversation, wine, and dinner. Thanks to our generous event sponsors, this event is free but RSVPs are requested as space is limited. NamesCon VIP pass holders can enjoy a festive kick-off to the conference with complimentary bubbly and fantastic networking. Join us immediately after for the Opening Reception, accessible directly from the VIP Lounge so you can enter the next party in style. Celebrate opening day of NamesCon Global 2018 with live music, cocktails, and networking in a casual atmosphere. Don’t forget to wear your name badge for entry! Visit the NamesCon information desk for registration, wayfinding, and any other questions you may have for our friendly staff! Keynote announcements will begin weekly on December 2, 2017. Visit 40+ exhibitors in our busy exhibit hall. Don’t forget to use the NamesCon mobile app to check in at exhibitor booths and be entered to win fantastic prizes! Using Survival Psychology to Build a Resilient Brand – Jonathan David Lewis, McKee Wallwork + Co.
What do Hillary Clinton, Blockbuster, and survivors of a plane crash all have in common? The world has fundamentally changed. New principles are required for success. Following 10 years of proprietary research, Jonathan provides a how-to guide for navigating uncertain times by correlating survival psychology with modern business, teaching us how to adapt and embrace change. 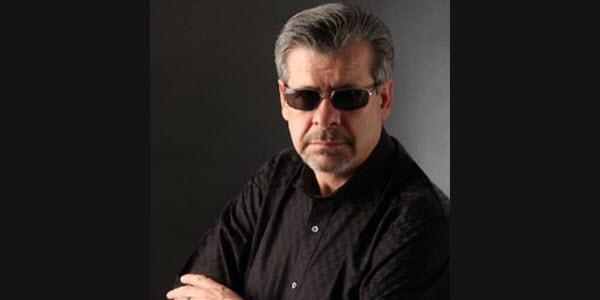 Domain security threats continue to evolve and challenge domain owners. Hear from MarkMonitor experts as they discuss measures domain owners can implement to help protect their valuable domain assets. There are many opportunities for both registrars and registries to generate additional revenue from more than just selling domain names. Discover how your organisation can unlock hidden value from data that is readily accessible to you. If you are running a registrar or registry then this session is a must attend event for your business. Tim Favia, SVP Corporate Development at Donuts will chat with Justin Newton, Founder & CEO of Netki, regarding Netki’s novel leverage of the DNS for Blockchain identity. The two will discuss Donuts.Ventures and its investments in DNS innovation, as well as how Netki’s Digital ID and Wallet Names make blockchains safe and compliant for a broad range of business and personal use cases. Panelists will discuss examples of successful new TLDs, and how to effectively brand and position your TLD to survive in the crowded domain marketplace. Your customer is loyal to their need in the moment and no longer to brand by default. You must build a business model for a promiscuous customer and create complete organizational alignment around how you put your customer in the center of business decision making and investments. Friction is pain. Time is the asset. Experience, trust, and attention are the currencies that giveth and taketh marketshare away. Executive Q&A – Jonathan David Lewis, McKee Wallwork + Co.
For NamesCon VIP pass holders: Enjoy a complimentary lunch buffet while taking part in an intimate Q&A with Jonathan David Lewis, partner and strategy director at McKee Wallwork + Company. Traditionally, websites have kept static homepages or blogrolls across all audiences. Now, Millennials and Gen Z want their habits to be anticipated, with each experience better than the last. This session will use new research from WP Engine & the Center for Generational Kinetics to illustrate how brands need to evolve if they want to survive in today’s competitive market. Domain Connect is a new open standard making it easy for consumers to configure a domain’s DNS to work with services enabled through different providers. The standard is already supported by many major services and registrars and is rapidly growing. This panel will provide an opportunity to learn about the protocol, hear from the several of the Service Providers and DNS Providers about their experiences, and learn what it takes to get involved. This session brought to you by Domain Connect. Geographic TLDs, in the form of city, region or country-specific codes, are well established but often misunderstood. Our panel discusses the benefits and downsides of investing in geoTLDs, and assesses the market and viability of these types of domain names. There are many parallels between the world of Domaining and the Blockchain and Crypto worlds. This interactive workshop will explore ways to make the transition, applying the hard won lessons of the domain industry towards these new opportunities. Keynotes will be announced weekly beginning December 2, 2017. Join us at the Startup Alley exhibit kiosks in the Exhibition Hall for networking and an open bar for happy hour. This is a great opportunity to catch up with old friends, make new connections, and get a personal introduction to the startups and small businesses exhibiting at NamesCon. Every year, the NamesCon community gathers for WaterNight – a gala extravaganza where 100% of the proceeds are used to bring clean water as well as hygiene and sanitation training to families in rural Uganda through WaterSchool. This year, join us for a red carpet evening of fine dining, silent auctions with fabulous prizes, live music and a celebrity magician! Help us continue the WaterNight tradition of giving back in a whole new way. Formal/black tie attire encouraged. Tickets for this event will be released January 2, 2018. Visit the NamesCon Information Desk for registration, wayfinding, and any other questions you may have for our friendly staff. For impromptu roundtable meetings or a quiet place to set up and work, the Business Hub is open to all attendees. Visit more than 40 exhibitors in our busy exhibit hall, and don’t forget to use the NamesCon mobile app to check in at exhibitor booths and be entered to win fantastic prizes! This session is brought to you by GoDaddy. Learn about innovative name search technologies that can help you explore creative (and available) name possibilities for both your business and its partner domain name. As a transactional lawyer and litigator, Daliah regularly negotiates on behalf of her clients. However, most business negotiations take place before lawyers are involved. In this seminar, Daliah explains how to successfully negotiate your business deals. This session brought to you by the ICA. For NamesCon VIP pass holders: Enjoy a complimentary lunch buffet while taking part in an intimate and interactive Q&A session. Richard Lau sits down with leading brokers Andrew Rosener and Sharjil Saleem to discuss the hottest domain name sales of late, and how they were involved. Join some of the domain industry’s top brokers for insight on how to appraise and evaluate domain names to sell or purchase. 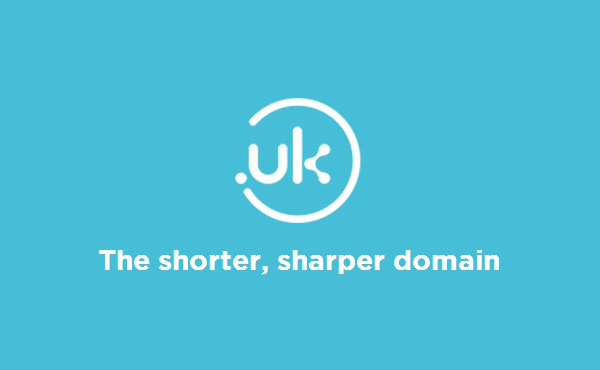 Stay for an interactive Q&A, where we’ll put the panel to the test and have them assess your very own domain names! Join us at the Startup Alley kiosks in the Exhibition Hall for networking and an open bar for happy hour! This is a great opportunity to catch up with old friends, make new connections, and get a personal introduction to the startups and small businesses exhibiting at NamesCon. 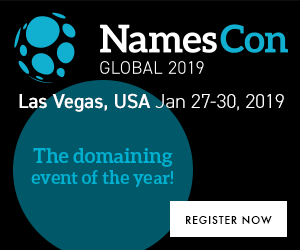 Don’t miss the annual NamesCon Premium Domain Auction, an exciting event where live bids will compete with online bidding from around the world! Pre-bidding and post extended auction will be hosted by our partner NameJet. We are pleased to announce that once again Monte Cahn and World Champion Live Auctioneer Wayne Wheat will conduct the live auction event. Food and beverages will be served. Preferred seating and service will be available for NamesCon VIP pass holders. Join us for a night of cocktails and networking in the ultra-exclusive Ling Ling Lounge, just across the walkway at the MGM Grand Casino. Keep your clothes smart and casual. Drinks are on us! Visit the NamesCon Information desk for registration, wayfinding, or any other questions you may have for our friendly staff! Shipping assistance may be coordinated at the FedEx Centre. Join us for a final day in the bustling Exhibit Hall – check in with any exhibitors you haven’t had a chance to meet, challenge colleagues to one of the games, or have that final meeting in one of the lounges. Close out the conference on a high note! Get your fill of brunch and inspiration before you head off to your next adventure. What’s an Unconference? It’s pretty simple: We provide the forum and the moderator, but you decide the content. We’ll be following the World Café method, where each table in the keynote hall will be dedicated to a certain topic, as decided upon by Unconference attendees. Did we miss any topics that you feel need discussing before NamesCon Global closes? Or want to carry on the conversation about something you discovered during one of the sessions? Here’s your chance!